As you are already aware of the fact that there are too many web hosting providers are exists on the web. 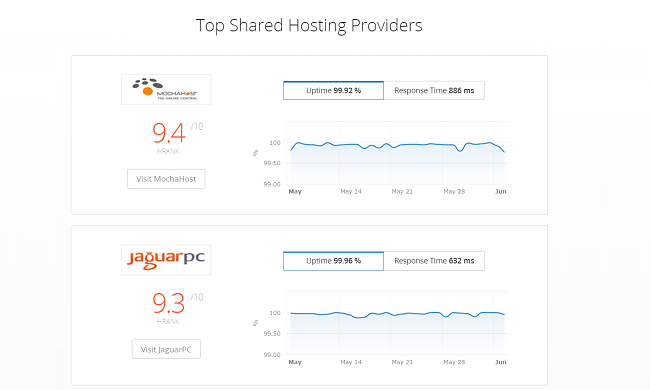 But have you ever wondered which one is best among all of those web hosting? Well if you ever did, then we are sure that it would have been a stringent process for you. But what if we tell you about a tool that automatically chooses the best web hosting for you? Would not it be an amazing thing? Of course, it will. Talking about the tool well it is called HRank. Now the question is What is HRank? Well, let us answer this question for you. Well, HRank is a rating system which is based on research, analysis and experience report. The tool is remarkably up to date and has a record of more than 300 web hosting providers. Even they are also working their level best to add more web hosting providers under their platform. In addition to that, you can use the tool for absolutely free. The HRank software is not like those online platforms that offer uptime checking options. Instead, the tool provides a tool to analyze a shared hosting performance. On the basis of these following factors, Hank offers an accurate and reliable data along with the hosting’s past and current performance. Like how the web hosting provider has worked in the past. How long and how often a web hosting provides was and how fast their server responds. HRank monitors and collects the data from shared servers and their websites constantly. 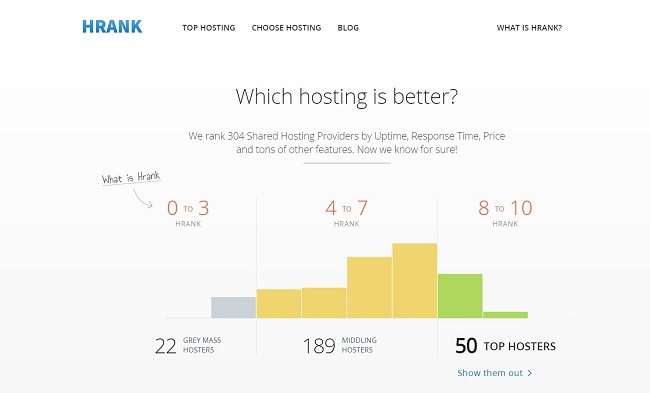 Plus HRank only hosts those servers that have 20 or more domains under their name. Hence, as a result, it becomes easy for them to cover the maximum number of web servers (which is about 98%). Plus you get to see a reliable uptime chart. According to their statement, the 20 domains/server is the lowest and accurate limit to get the correct date. Where 5 domains/server does not even offer much data. Not even the server with 50 domains gives the correct information. As they only offer 86% of the information and this is insufficient. To offer you more accurate information, Hrank’s bot sends 288 requests to each server every 24 hours. In other words, the Hrank bot visits a web server in every 5 minutes. Also, let us mention the fact that these requests are random. Plus each request is unique. However, this whole process would not affect any of the website hosted on a specific web server. Instead, Hrank uses some of their domains to check the webservers out. Hence, as a result, the sites hosted on that web server does not get affected at all. Apart from sending bots, The HRank also check the website’s age, design and usability. Plus they also keep an eye on the pricing, the renewal costs, promo codes and so all. In addition to that, they also keep an eye on the customer support of the company. Also, the main reason to trust their web hosting reports is that HRank does not accept sponsored posts. Or their reports can be changed on a web hosting providers demand. Overall the HRank software is capable of processing versatile and numerous data. Their software has access to more than 50 million websites on the Internet. Also, they have the background data like the hosting provider and the specific server. First of all, go to the HRank. Over here you will find two options. One of them is the Top Hosting, and the other one is Choose Hosting. Now if you want to know the best hosting providers. Then go with the Top Hosting. However, if you want to select some of your requirements then select the Choose hosting. In choose hosting option page you will find a sidebar menu. Just use this sidebar menu to select price, uptime, disk space and other factors. In the end, click on the View result option and you are done. 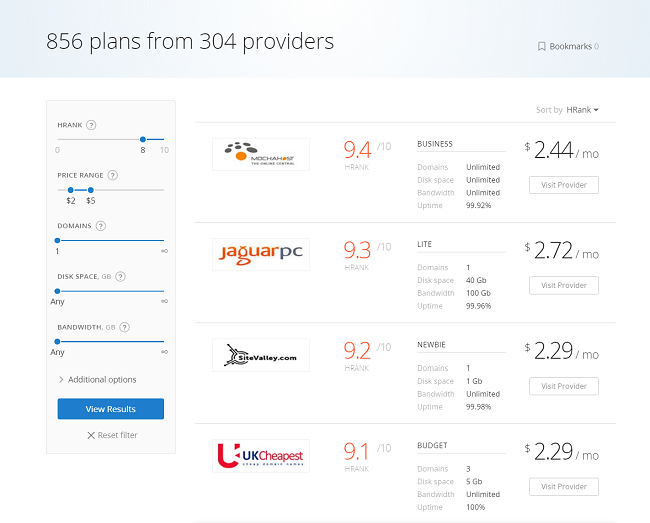 Now you will get to see all the popular web hosting providers name. Now select the best one for yourself and you are good to go. Anyway, that was all for the HRank review. If you have any more questions, then do feel to free to leave a comment below.